Shiver me timbers—your students will love these ideas! Ahoy, matey! Arrrr ye ready for International Talk Like a Pirate Day on September 19? The unofficial holiday, started in 1995 by a couple of friends during a racquetball game, and popularized by a 2002 shout-out from newspaper columnist Dave Barry, is a fun day that has gained momentum over the past decade. Situated in September as it is, TLAPD provides a great opportunity to have a little fun with your students. Here are a few ideas for the celebration. You might even want to move beyond one day and celebrate a pirate themed week! 1. Learn to Talk Like a Pirate. You’ll need to spice up your vocabulary a bit to sound like a pirate! Some general tips for “piratifying” your speech can be found at How to Talk Like a Pirate from wikiHow. Lists of pirate phrases and their modern English meanings can be found at these Pirate Phrases and Pirate Talk web pages. A word of caution, though; not all pirate phrases are appropriate for all ages. Some are downright unseemly! So be careful which ones you decide to share with your kids. 2. Read Pirate Themed Books. From silly pirates to scary ones, fictional to real, books about pirates abound. You can use pirate books for read-alouds or put them in your classroom literacy centers. If you teach older students, have them practice reading the books and then partner with a younger class to share the stories on September 19th or another day during the week. Bonus Tip: Older students who struggle with reading can be motivated to practice and learn to read a book for the benefit of younger students. And the younger kids will make the older student feel like a rock-star when visit the younger class to read to or with them! 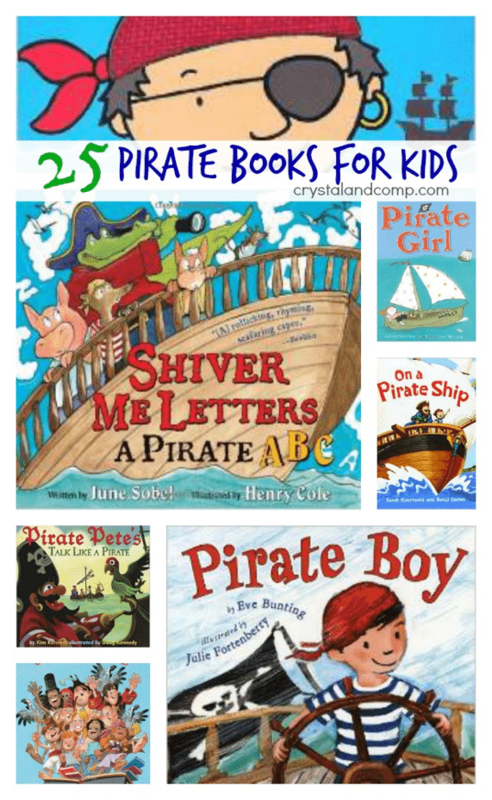 Here is a list of 25 Pirate Books for Kids to get you started. 3. Adopt Pirate Names for Your Students. 4. 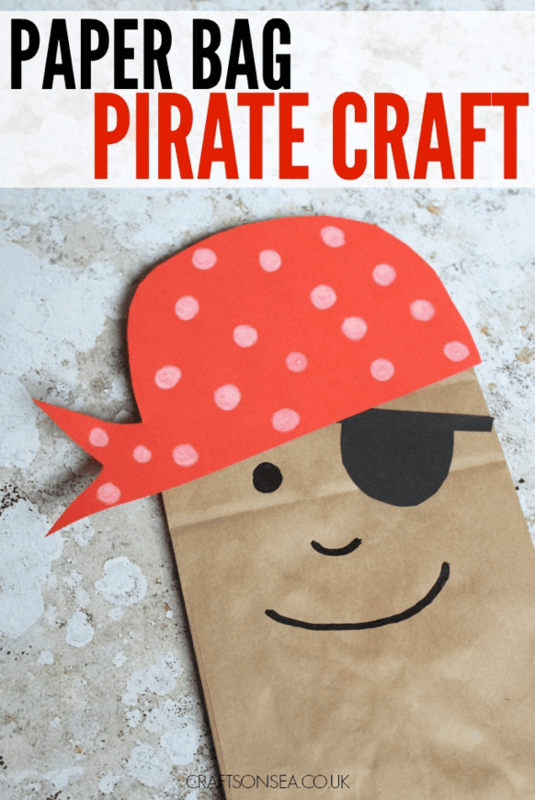 Make Paper Sack Pirate Puppets. Puppets can be fun to create, and can also be used to practice your pirate talk! Depending on the age of your students, they could use the puppets to retell one of the pirate stories read in class, write dialogues in pirate-speak and perform them, or use the puppets to teach younger students about pirates. Here’s a puppet that’s pretty simple to create, and one that’s a little more involved, and another that’s even more involved if you want to get super artsy. Give your kids some pirate attire parameters, but remember to let your students be creative with how they style their puppets! There’s more pirate jokes to make you harrrdy-har-har then you can shake a peg-leg at! There are pirate jokes for kids and pirate jokes for a more sophisticated audience. Start each day of the week with a joke or two, and challenge your students to write and tell their own original jokes. 6. Go on a Treasure Hunt. A day (or week) about pirates wouldn’t be complete without an X-marks-the-spot treasure hunt! For younger students, you can hide treasure (pirates call it booty; you can decide if you want to risk using that word!) around your classroom or your school and create a map they must follow to find the treasure. 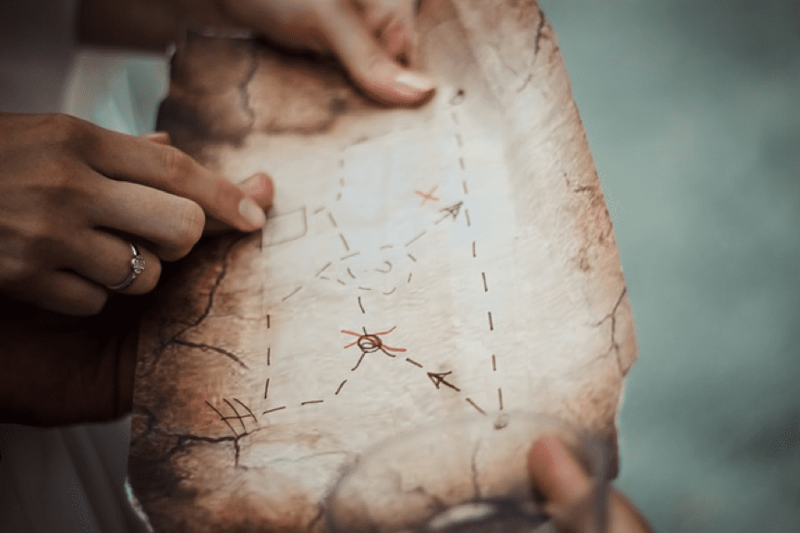 If you teach older students, partner with another class in your school to have the students hide treasure and create maps the partner class can use to find the goods. Breaking students into small groups will allow for more hands-on experience with map making. Add some fun by making the maps look more authentic. You can age them in various ways. Even young students should be able to handle the method in this blog post, but only adults should use this one, since it involves fire. 7. Learn More About Real Pirates. When we think of pirates today, they seem mostly inept or harmless, like Captain Hook or Captain Jack Sparrow. 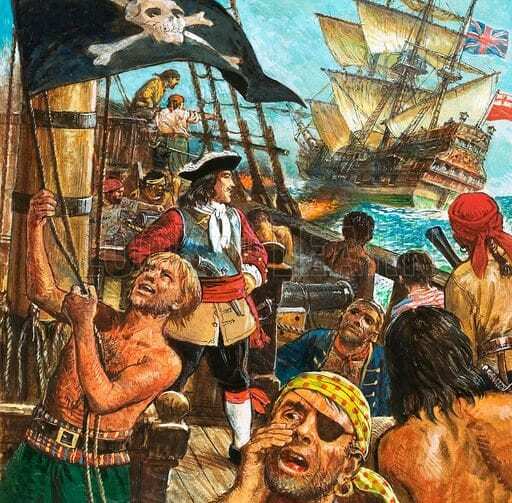 But what do your students know about the real history of piracy? More suitable for upper middle or high school students due to the maturity of the content, a study of pirates throughout history might be enlightening. Here are eight real-life pirates (like Captain Kidd, below) to start with, and a couple of women pirates to get to know. Students could research these historical figures and create short character sketches to share with classmates. Whether ye decide to embrace the pirate way for an hour, a whole day, or a number of days surrounding TLAPD on September 19, I hope some of these ideas will help you celebrate. Have fun and enjoy some yo ho ho silliness with your students! Sandy Kendell is a Digital Learning Coach with over 20 years of experience as a teacher, PD leader, and conference presenter. Her areas of interest include mobile learning, online blended and distance learning, social media, and digital citizenship. Sandy invites you to connect with her on Twitter at @EdTechSandyK and at her EdTechSandyK blog.